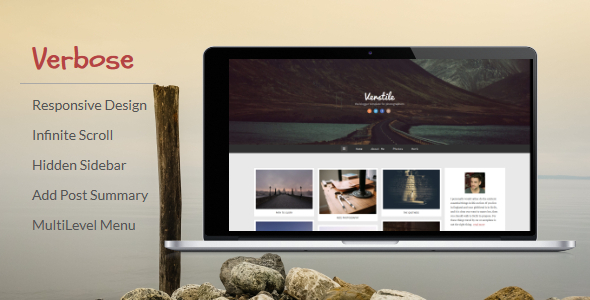 Verbose blogger template is designed for photographers and picture bloggers. It is highly customizable with different fonts, text and background colors. You can easily add or remove short post snippet on home and category pages. The template is fully responsive.